On October 11 presidential and legislative elections will be held in Liberia. Incumbent President Ellen Johnson Sirleaf faces 15 presidential aspirants who share one goal: unseat Africa’s first democratically elected female president. 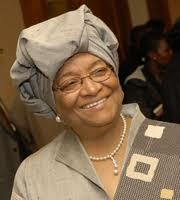 Liberia’s Iron Lady, however, is with her 72 years ready for a second term. Liberia comes from far. Africa’s oldest republic celebrated its 164th independence anniversary earlier this year. Yet the country classifies among the 48 poorest countries on earth. Health conditions are appalling, illiteracy widespread and unemployment sky-high. Whereas fifty years ago the Liberian economy was one of the fastest growing economies in the world, the civil war that raged between 1989 and 2003 destroyed everything that had been built up during the previous century. After the resignation of warlord-president Charles Taylor in 2003 the country had to start from scratch: rebuild the economy, regain the confidence of investors – both foreign and domestic – and reconcile the population. The ‘classical’ divide in the Liberian society, between descendants of the 19th century settlers (‘Americo-Liberians’) and the tribal population (‘Afro-Liberians’), had been complicated by a civil war based on tribal identity and alliances. In the runoff election of November 8, 2005 two competitors competed for the presidency: veteran politician Ellen Johnson Sirleaf and former soccer star George Weah (‘King George’). The Iron Lady won, with 60% of the votes. Africa’s first democratically elected President is a Harvard educated economist with an extensive international network, has tribal roots, and an Americo-Liberian background. Whereas the first two characteristics have much helped to regain the confidence of the international community, her internal political position is not undisputed. Ellen Johnson Sirleaf acknowledged supporting Charles Taylor in the first phase of the civil war – for which she later publicly apologized. In 2009 Liberia’s Truth and Reconciliation Committee (TRC) recommended in its final report that she be banned from public office for thirty years after the expiration of her presidential term. The TRC report’s recommendations, however, were never subject of an official political debate. Another reason for her low popularity among many Liberians is the high level of corruption in the country, notably among civil servants. It can hardly surprise with an annual budget of only 550 million US dollars (fiscal year 2011/2012), even if the Minister of Finance recently announced that the minimum salary of civil service employees will be raised to 100 US dollars a month. In addition, according to unconfirmed rumours membership of Sirleaf’s Unity Party (UP) has become a prerequisite for government employment – a phenomenon common in many African countries. Sirleaf’s main competitor in the race to the Executive Mansion also is a Harvard graduate. 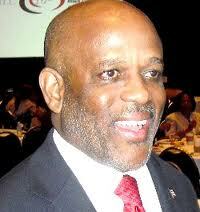 The 70 year old Winston A. Tubman is a politician of Americo-Liberian descent. 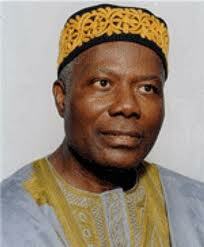 He earned a degree from Harvard Law School in 1966, then established his own law firm in Liberia. He also has extensive United Nations experience, most recently as the Secretary-General’s representative and head of the United Nations Political Office for Somalia, from 2002 to 2005. He belongs to one of Liberia’s most influential families, the name Tubman is well known to all Liberians. Winston Tubman’s uncle was William V.S. Tubman, Liberia’s longest ruling president (1944-1971). Winston Tubman served as Minister of Justice under dictator Samuel Doe and in 2005 unsuccessfully ran for president on the ticket of Samuel Doe’s National Democratic Party of Liberia (NDPL). In the October 11 elections he is the presidential candidate of George Weah’s Congress for Democratic Change (CDC). Perhaps the most important opposition politician is Counselor Charles W. Brumskine, the leader of the Liberty Party. He ended third in the 2005 presidential elections. In the 1990s Brumskine was an important ally of Charles Taylor and in 1997 became President Pro Tempore of the Senate. He fled Liberia after he broke with Taylor and his political party. Allegedly, Charles Brumskine had ties with Gus Kouwenhoven – accused of arms trading for Taylor during the civil war. Sirleaf, Tubman and Brumskine are the main contenders although there are thirteen more who want to become Liberia’s next president. One of them is millionaire Dew Mayson, once a progressive politician, later serving under Doe, and allegedly rich because of his involvement in the sale of arms and his relationship with Dutch arms dealer Gus Kouwenhoven. Another presidential aspirant is former warlord Prince Yormie Johnson, who led the I-NPFL faction in Liberia’s civil war and tortured President Samuel Doe to death in 1990. Veteran politician Togbah Nah Tipoteh may have the cleanest record of all candidates. 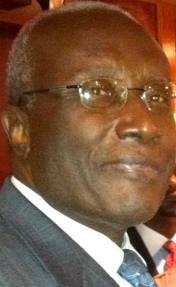 He has a firm reputation of being uncorrupt and principled, and is one of the few leading Liberian politicians who stayed in the country throughout the civil war period. This even made him one of the most serious candidates after a referendum was rejected which maintained the constitutional ‘residency clause’ for presidential candidates at ten years. However, not surprisingly, the Chairman of the National Election Commission (NEC), James Fromoyan, hastened to declare that the formulation of the clause was vague and ambiguous, and hence did not hold. Fromoyan was subsequently accused of being pro-UP, the political party of President Sirleaf. National and international observers will monitor the October 11 elections. Whatever the outcome of these elections, Liberia needs political stability and peace if it wants to develop and improve the living conditions of its population. This week it was announced that ArcelorMittal has begun operations at it mining site in Yekepa, Nimba County, where half a century ago the Swedish-Liberian LAMCO mining company contributed to the double digit growth of the Liberian economy. On October 11 the people of Liberia will not only vote for a president but also for progress. This entry was posted in ArcelorMittal, Charles Brumskine, Charles Taylor, Civil War(s) Liberia, Dew Mayson, Elections in Liberia, Ellen Johnson Sirleaf, George Weah, Gus Kouwenhoven, James Fromoyan, Liberia, Liberian Economy, national budget, National Elections Commission (NEC), Prince Y. Johnson, Samuel Kanyon Doe, Tipoteh, Truth and Reconciliation Committee (TRC), William V.S. Tubman, Winston Tubman. Bookmark the permalink.